Iranian President Hassan Rohani has accused Saudi Arabia of trying to distract attention from Riyadh's "failures" at home and abroad by vilifying Iran as the alleged culprit behind conflicts in the Middle East. "Saudi Arabia seeks to solve two problems through enmity with Iran. 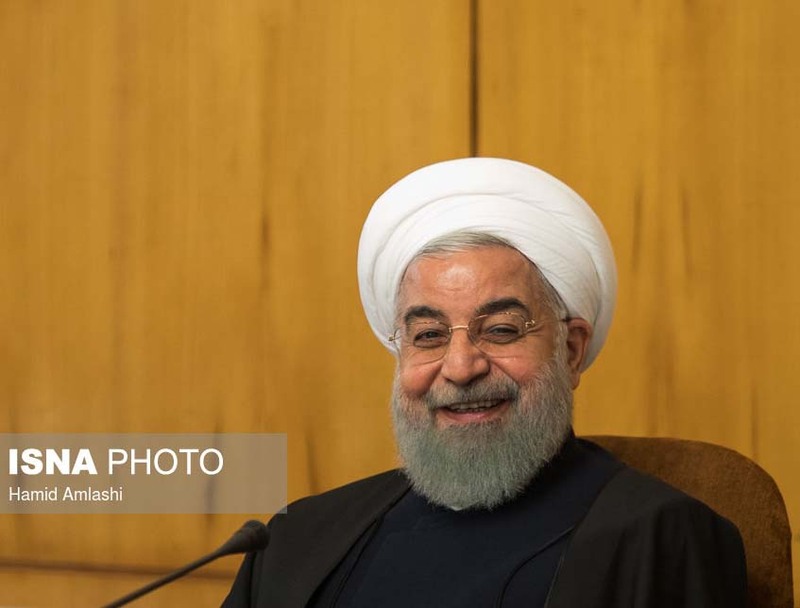 First, it wants to cover up its failures in the region...and second, its domestic problems," Rohani said in a live interview on state television on November 28. "Saudi Arabia was unsuccessful in Qatar, was unsuccessful in Iraq, in Syria, and recently in Lebanon. In all of these areas, they were unsuccessful," Rohani said. "So they want to cover up their defeats." Sunni-ruled Saudi Arabia and its allies in the Persian Gulf region recently have accused predominantly Shi'ite Iran of fomenting terrorism and conflict in Syria, Yemen, Lebanon, and elsewhere. The kingdom's crown prince escalated the verbal war last week by calling the supreme leader of Iran, Ayatollah Ali Khamenei, "the new Hitler of the Middle East," in an interview with The New York Times. The two regional powers have been engaged for years in proxy wars in Yemen and Syria, where they support opposing sides in bitter conflicts that, according to United Nations estimates, have killed hundreds of thousands of people, displaced millions, and brought Yemen to the verge of famine. Tensions soared this month when Lebanon's Sunni Prime Minister Saad Hariri announced he was resigning on a visit to Riyadh, blaming the growing power of Iran and its ally Hizballah, which is part of Lebanon's ruling coalition. Harari afterward reconsidered and has since returned home to negotiate with Hizballah and other coalition partners. But this week he threatened again to resign if Hizballah does not withdraw from Syria, where its Shi'ite fighters along with Iran have backed Syrian President Bashar al-Assad in the government's six-year war with Sunni rebels. Rohani contended in the television interview that Tehran and its allies -- Iraq, Syria, and Russia -- have achieved "big accomplishments" in the region and are helping to bring stability through their military cooperation.